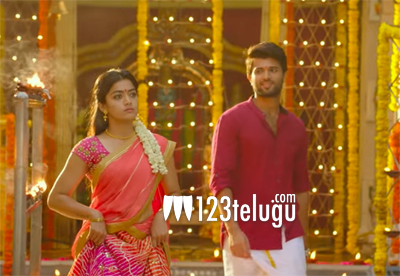 The much-awaited teaser of Geetha Govindam was finally released yesterday and within no time, the teaser has caught on quite well. What’s more interesting is that the chemistry between the lead pair, Vijay Devarakonda and Rashmika is being talked about all over. The teaser has crossed 2 million digital views which clearly shows what kind of buzz it has in the younger generation. Parasuram directs this film which is touted to be a youthful romantic drama. Gopi Sundar’s music is catching up quite heavily and this is a good sign for the makers. The film is up for an independence day release and Allu Aravind presents it.